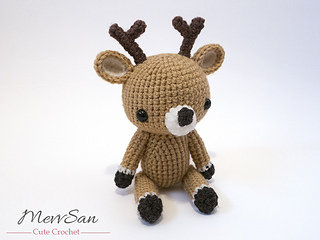 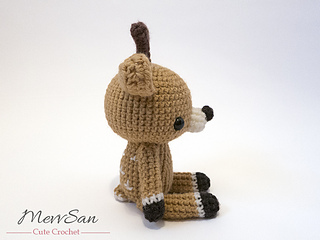 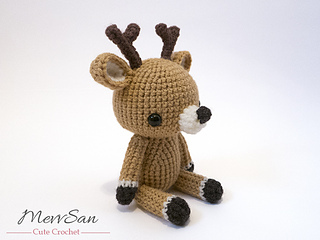 This Deer is the fifth of 12 patterns in my Woodland Critters series. 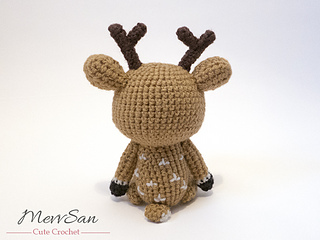 ••Finished Size: plush is approximately 6” (15.2cm) tall by 4” (10.1cm) wide. 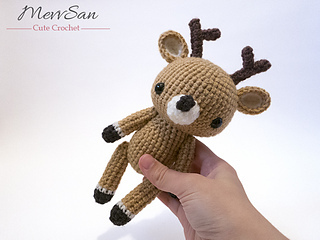 ••Skills Needed: Crocheting in the round/spiral, single crochet, half double crochet, increase and decrease stitches, and sewing multiple parts together.